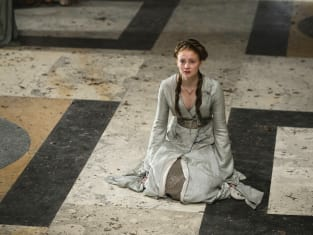 Poor Sansa. 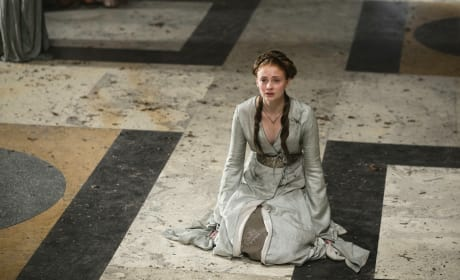 She begs for her life from Joffrey in this scene from episode two of season four. 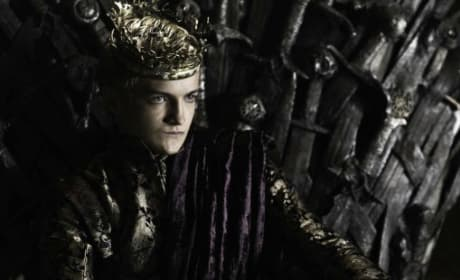 This is the look we pretty much always see on King Joffrey. Errr, how much we hate this guy! 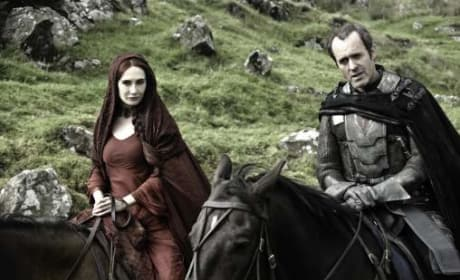 Stannis and Melisandre are seen in this Game of Thrones season two photo. They play a key role now on the HBO smash.